Fresh from the release of his new autobiography ‘Best of Both Worlds’ Gordon is excited to be back in his home town of Glasgow and he looks forward to welcoming new and old faces alike. 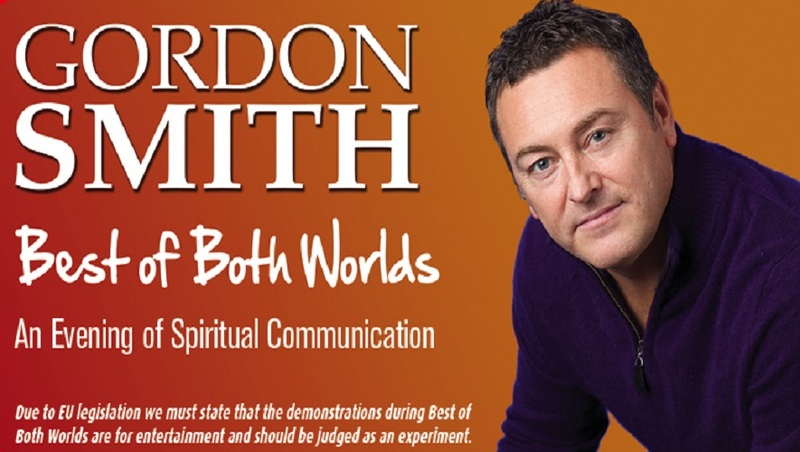 Hailed as one of the world’s most accurate mediums this is your chance to join Gordon for an evening of mediumship. Shows of this nature are for entertainment purposes only. Your psychic reading, if received, is subject to your own personal interpretation and guidance given is not intended as predictive. Psychic and mediumistic consultations are scientific experiments and results cannot be guaranteed. Remember also that ALL psychics and mediums are fallible and can sometimes make mistakes. Brilliant night. The ones that got readings seemed to acknowledge everything Gordon had to say. 2nd time seeing his show. Will defo be going again if he does another.